I think every girl has something they love to collect or what they need to purchase every other time. Some girls like to buy new shoes every month and others makeup. At the moment I like to buy makeup, but when I was young I had another big addiction: designer bags! Wanna see my collection? When I was young I didn’t really know how to spend my money, I had no bills to pay and I already owned enough makeup. Beside school I worked part time in a sushi restaurant. So I started to look around for affordable designer bags. I payed almost every bag by myself, except 2 bags which I got from my mom and dad. 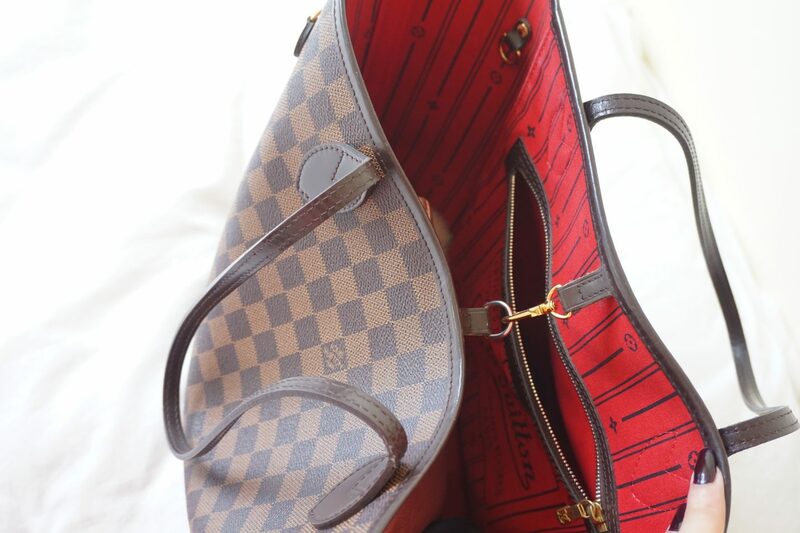 Louis Vuitton, Neverfull MM in Damier Ebene – This is my everyday bag, I love that its “never full” because you can throw anything in it without getting it full. But be carefull, thiefs can easily reach out for the items you put in the bag because it is so wide and open. I purchased this one at the Louis Vuitton boutique in Amsterdam in the Bijenkorf. I think I payed around €550 for this one a few years ago, If you purchase this model now you will get a little pocket zipper with it (but you will also pay more for the bag). Prada Tote Bag – I got this bag for my 21th (?) birthday from my mom, she paid the half of it and I did the rest. Maybe you recognize this but in my family we never celebrate each others birthday. But the moment my mom got cancer she started to celebrate everyday she had. Thats why I suddenly received this big gift from her. Otherwise she will never give me this or came with this idea. Me and my mom purchased this Prada bag at the Roermond Outlet Store for €650. Mulberry, Bayswater in Natural Leather in Dark Blue -This is my most delicate bag, the leather is so soft that you can see every &@#^%$# scratch! If I could turn back time I would purchase the Bayswater with the Grain Leather, which is more durable. Beside the leather this bag is so heavy without any stuff in it. It’s because of the Natural Leather which is more heavy than the other leather finishes. So please take time to decide when you purchase the Bayswater. I purchased this bag because my dad hated my travel bag at that moment (it was the LV Speedy 35). So he offered me to pay the half of this bag so he would never see that ugly LV Speedy 35 again. It was sale that time so I payed €900. 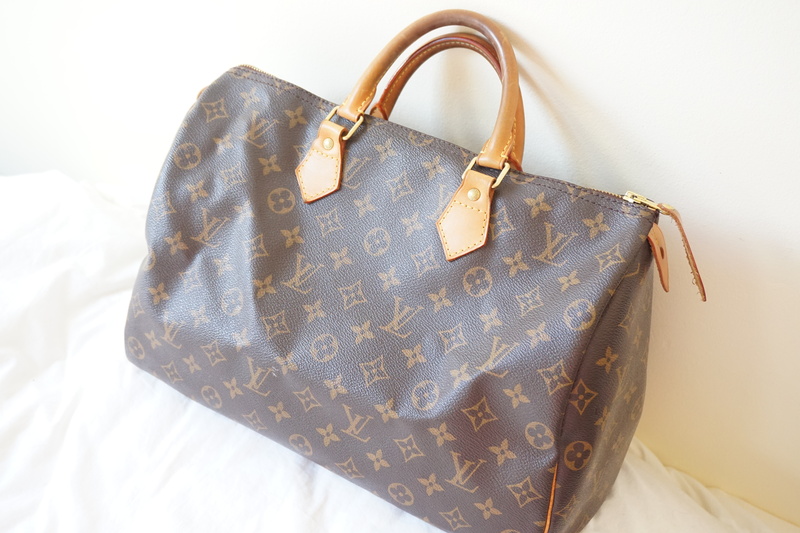 Louis Vuitton, Speedy 35 in Monogram – This is the bag my father hates so much, he named it “doggy bag”. To be honest this is my least favorite bag, I only use this when I travel because it can survive everything: heat, rain, dirty ground etc. The inside is also really difficult to organize because it is one big hole on the inside, so I purchased a bag-in-a-bag pocket so I can reach easy to particular stuff. I purchased this bag in Amsterdam at the Louis Vuitton Boutique in the Bijenkorf for around €550 at that time. Miu Miu, Tote Bag – This is my latest purchase I did last year. It is a simple tote bag which you carry around your shoulder. Maybe it was the moment but I didn’t need this bag, it was just because I was at the Roermond Outlet store again and I couldn’t leave without a bag. I looked for another Prada bag but I didn’t see anything. 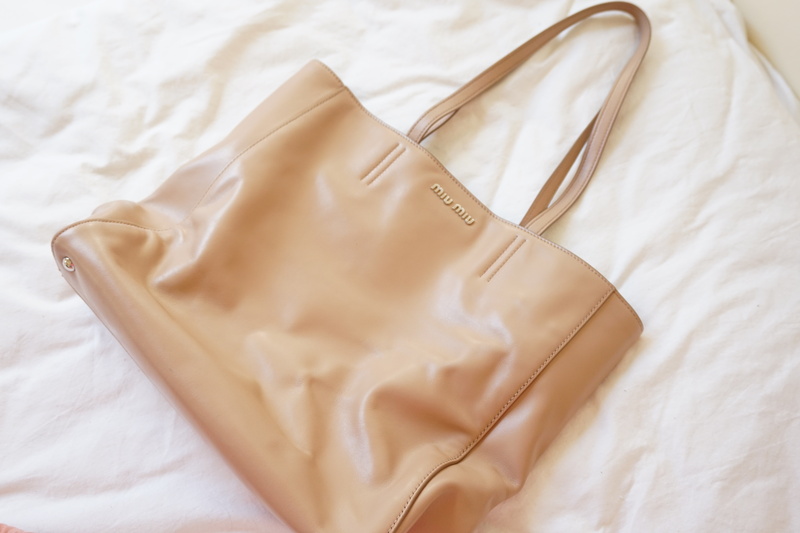 So I came home with this bag because it was affordable and I don’t own anything yet from Miu Miu. I purchased this bag for €280 at the Roermond Outlet Store. Alexander Wang, Rocco in Pink with Gold hardware – This is my most precious and amazing purchase! Normally you pay around €880 for a Rocco bag but I payed (I think) €380/280 for this baby! Oh men, it was just meant to be: I accidentally went shopping before going to work and I always visit the Bijenkorf, and suddenly they had a rack with sale items. The whole rack was loaded with Alexander Wang bags that were on sale for at least 50%! I couldn’t pick which bag I would take home, but the soft pink had my attention. Only negative thing is that the color is so light and the leather so delicate, that you will see every stain. I have to clean this bag regular because my jeans will leave a stain on it. I am not rich or getting funded by my parents, I just had a periode in my life were I didn’t know how to spend my money. I never went on vacation or went out with friends so I had enough to purchase something like this in the last 8 years. As you can see, most of the times I find the good deals or buy them from an outlet store. 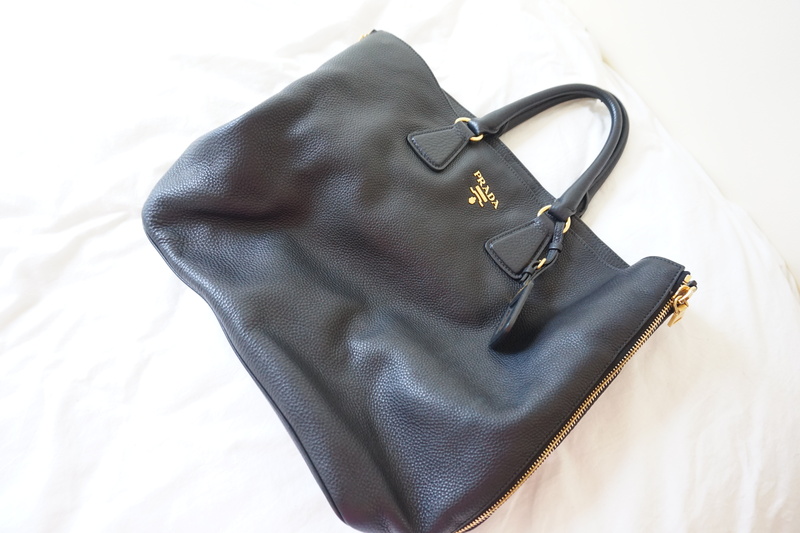 The next bag on my wishlist is a YSL or another Prada bag: what is on your bag wishlist? Great collection! We have such similar tastes. Can’t believe though Neverfull was so much cheaper that many years ago.. I bought mine for almost €1000?! Haha. I saw your collection on Instagram and it is indeed similar with my taste haha! That is my excuse to my parents: I need to buy it now because later it will be more expensive! I tell myself that all the time for a Chanel flap! Because price increases are crazy. But I’m never saving up for it because like you I’m now obsessed with makeup and spent all spare money on that ???? Haha first I wanted also to get a chanel bag but that amount of money is just impossible at this moment! So just like you I purchase something that is more affordable like makeup. Such a bad habbit because i really want a new bag. Back then I was already thinking to get another speedy, a 25 or 30. 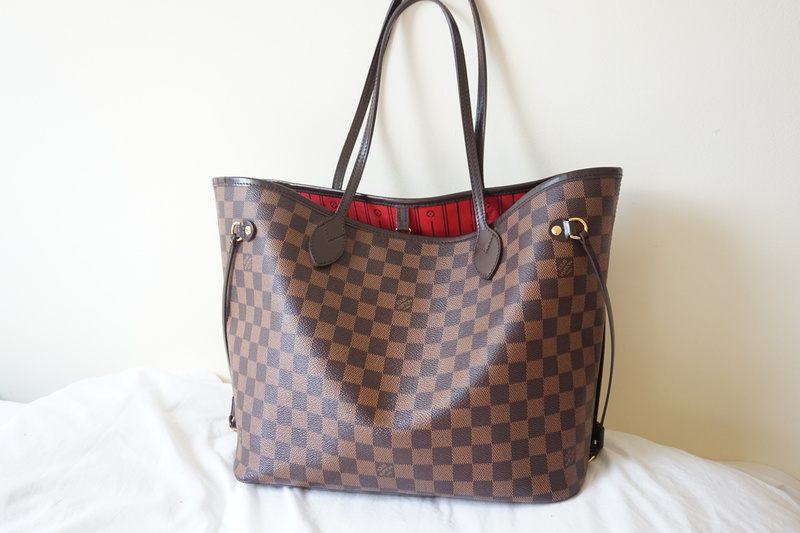 But later on I didnt fell in love anymore with this model so thats why I purchased the Neverfull MM. I saw that lv had a new collection with pink red leave prints on their speedy, i dont know the price but that one looked so cute on the speedy!! Het is echt jammer dat alle dure merken hun prijzen hebben laten stijgen. 2 jaar geleden stond ik op het punt om de GST Chanel te halen, totdat deze ineens onwijs erg steeg! Daarom ben ik meer in de outlet winkels gaan kijken en met geluk! Neverfull is echt een handige tas voor werk en tijdens het winkelen, één van de tassen waar ik zeker niet zonder mee kan. Bedankt voor het lezen! Oooh wauw je hebt echt super mooie tassen! Oh wat is dit een geweldig leuk artikel om te lezen! Fijn dat je ook de prijzen vermeldt, want daar doet iedereen altijd zo vaag over :). De Bijenkorf is dus absoluut een tip om tassen te kopen in de sale als ik dat zo lees. Ik ga het in de gaten houden! Graag gedaan, ik wil graag open en eerlijk tegen iedereen zijn. Als je toch je spullen laat zien aan andere en ermee pronkt wees er dan ook open voor als mensen er naar vragen (: je moet zeker ook regelmatig de webshop in de gaten houden! Daar hebben ze vaak sales die dan nog in de winkels zijn gestart en meer items! Ik probeer nog steeds een 3.1 phillip lim tas te scoren bij de Bijenkorf, ze zijn vaak afgeprijst met 30/40%! Its my everything <3 thanks for reading honnn! Hahaha who else is not addicted to pretty bags!! 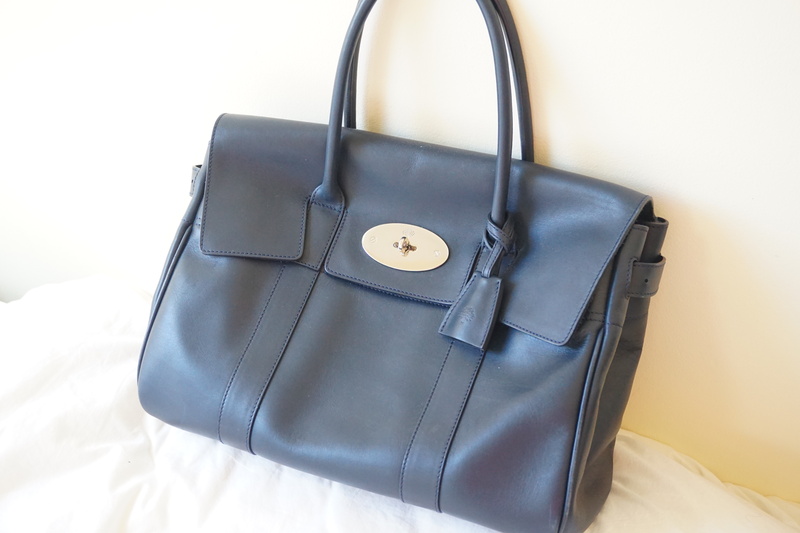 I am really considering to get myself the Mulberry Bayswater. Is it really that heavy? I am intending to use it as my everyday bag. Currently I am using the YSL Muse – think it has been discontinued, which is also a little heavy and hard to put around my shoulder if I have my coat on. My bag is so worn out. I need to get it repaired. Lol. YES it is really heavy! First I thought it was because of the stuff inside but I removed everything and then I knew it was the bag itself. 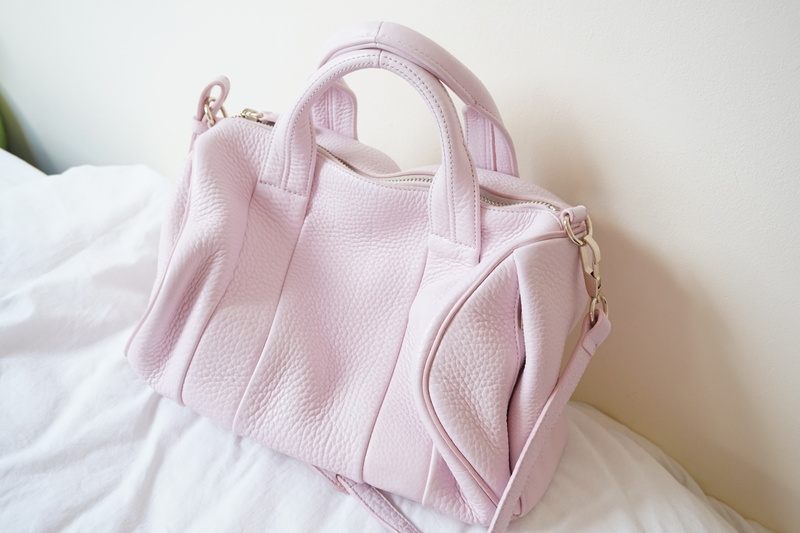 But still, I love this bag and how classy it is! Such a good collection! I also want to own some designer bags but everytime I go to the shop I feel like should I spend this much on bag !!! But as I come back home I regret !